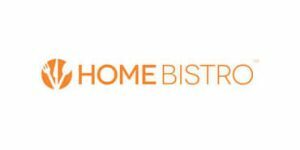 Cannot decide between Sakara and Home Bistro? It is definitely a tough choice. Both companies use high-quality ingredients in order to provide you with healthy, delicious food. Luckily, with this comparison, you can find out which one is a better choice for your dietary needs and preferences. Sakara Life offers organic, plant-based, chef-prepared meals made from the finest ingredients and designed to improve overall health and wellness. Sakara Life features a set menu that rotates both weekly and seasonally. Sakara Life provides its customers with up to 3 meals per day. Sakara Life offers plant-based breakfasts, lunches, and dinners. Its menu features gluten-free, low-carb, low-fat, vegan, and vegetarian-friendly dishes suitable for weight loss. In addition to meals, the service offers a variety of clean snacks, bars, chocolates, cookies, teas, probiotic blends, and beauty and detox water. Sakara Life uses only the highest-quality organic plant-based ingredients. Its meals are fresh, rich in superfoods, and incredibly healthy. Sakara Life meals feature an optimal balance of macronutrients and micronutrients coming from plant-based protein sources, fresh organic produce, and nutrient-dense superfoods. The portions are not large and individuals with a hearty appetite may feel the need to supplement their meals with snacks. With Sakara Life, you can pause or cancel your subscription at any time - just make sure to inform the company in advance. The weekly deadline for pausing or canceling your order is Thursday at midnight PST for the following week. Sakara Life doesn’t offer refunds. It can only issue a credit to your account in case you pause your order at least 48 hours prior to your scheduled delivery day. I’m a vegetarian and it’s very difficult for me to find a good meal delivery, cause they all lie about the ingredients and what I usually get isn’t just tasteless, but it’s also awful when you look at it. But Sakara is really something. I like them, although portions sometimes aren’t big enough for me. Very good, much better than I expected when ordered for the first time. I don’t have to tell u that my wife put me up to this. But I can’t say I’m thrilled. It’s ok from time to time but I couldn’t eat that food every day. But I guess it’s ok if u like stuff like that.